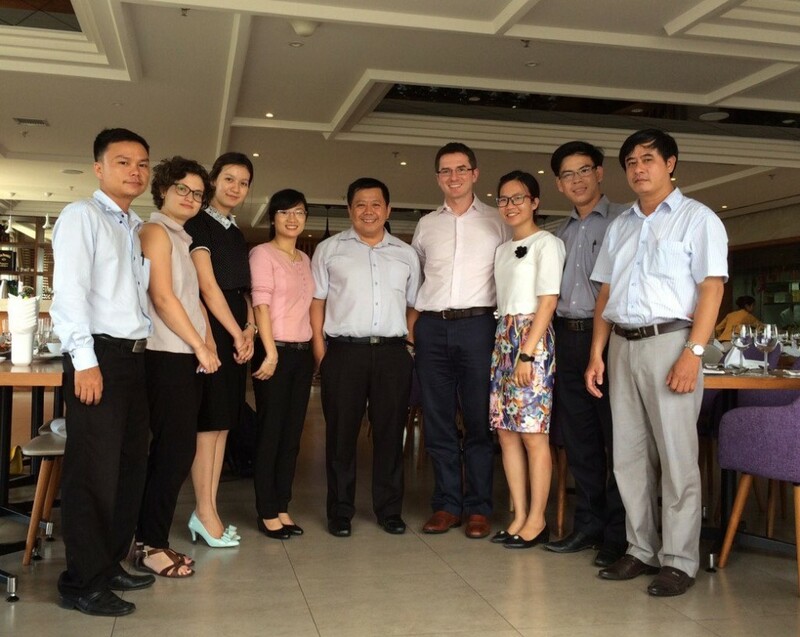 On Saturday May 28, the OUCRU modeling team visited Da Nang to meet with a group of doctors who are interested in setting up a real-time ILI reporting study similar to the study that has been running in Ho Chi Minh City since 2009. Hannah Clapham and Nguyen Thi Le Thanh visited a number of clinics in Da Nang that will soon be participating in the study, to discuss the study goals and to get feedback on how feasible it would be to implement a daily reporting system. We owe a big thanks to Dr Tran Dinh Trung (second from right in the picture below) for taking the initiative to set up the study. Dr Trung is a lecturer at Da Nang University of Medical Techonology and Pharmacy and the Deputy Secretary of the Youth Union there. Dr Trung loves biostatistics and has spent a lot of time this past spring promoting our study design to his clinical colleagues in Da Nang. The first phase of the study will begin this summer. In 2017, look out for the first summaries of influenza-like illness in Da Nang on the website www.ili.vn.